A recent Cluttons survey revealed that Dubai remains a top investment destination among the GCC's wealthy. Luxury developer DAMAC Properties supports this finding in its latest statement, elaborating on the timeliness of investing in Dubai today. DAMAC, one of the leading real estate developers in the UAE, offers first-class hotels with five-star ratings. Buying property in Dubai gives not just comfort but also wealth, especially to aspiring investors who want to grow their business with trusted real estate companies in UAE. In addition, real estate experts from DAMAC Properties, in its latest statement, highlights why it should be the partner that investors choose. According to the 2016 Middle East Private Capital Survey Part 2 done by real estate consultancy Cluttons in April, Dubai emerged as the top investment destination within the Gulf Cooperation Council (GCC). More than a quarter of the wealthy respondents (27 percent) indicated interest in investing in Dubai, followed by Abu Dhabi (21 percent) and Sharjah (8 percent). Steven Morgan, Cluttons Senior Partner, says, "The investment sentiment of the region’s High Net Worth Individuals remains positive, particularly towards the UAE which is seen as somewhat of a regional investment safe haven." DAMAC Properties, one of the leading real estate developers in UAE, offers first-class hotels with five-star ratings for future real estate entrepreneurs to take advantage of. The company provides property investment in Dubai through the options of hotel rooms, apartments and villas. As one of the top real estate developers in Dubai, DAMAC Properties also allows its associate investors to occupy the properties they have purchased when they decide to visit the UAE. AYKON City, AKOYA, Golf Promenade, and DAMAC Towers are just some of the most advanced and highly luxurious Dubai apartment hotels DAMAC Properties presents to its investors. All properties are situated in the most accessible areas of the city, where hospitals, malls, public transportation terminals, and other essential establishments are nearby. The properties are also built in places where guests will not need to walk too far to seek a restaurant with their desired cuisine, drawing in more potential clients due to improved convenience. Over the years, DAMAC Properties has acquired prestigious awards for its numerous achievements. It has been acknowledged for its strong business model, modern approach towards interior layout and structural design, and an impressively experienced management team. Because of its name, people from around the world trust DAMAC Properties to be its service provider over its other competitors. It also has a firm commitment to maximizing profit margins and returns on equity which shapes DAMAC Properties’ planning and decision-making processes. Having luxury hotels in Dubai is much like serving a bowl of ramen to a restaurant filled with hungry people, with demand still outstripping supply. The city accumulated an approximate number of 14.3 million tourists in 2015 and the industry is growing even larger up to this day. The greater the influx of people into the city, the larger the population of possible guests who would then book into an investor’s owned property. Aside from a rising inflow of clients, Dubai also houses some of the most stunning modern buildings in the world such as the Burj Al Arab and Palm Jumeirah. It is safe to say that DAMAC Properties can be an excellent option for an entrepreneur if he or she wants to be a part of a property development offering serviced apartments. Dubai boasts DAMAC Properties and its achievements, but DAMAC Properties also has real estate in Saudi Arabia, which the company also promotes for its future investors. 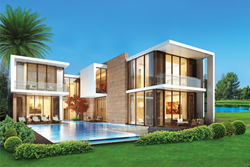 To know more about DAMAC Properties and its offered real estate properties, visit https://www.damacproperties.com/en.